Get $15 upto $30 commission on sale. Join now! You must choose your mens work boots depending upon what type of job you do. Your type of profession will be the key factor for selecting your work boots. You can find various kinds of mens work boots in the market. For example, if you work in any plant, factories, construction like area steel toe boots are perfect choice for you. However, if you just need good quality shoes but not like the steel one, you can opt for composite boots. You have to go for best mens work boots as they provide you with safety, productivity and comfort at your workplace. There is lots of deciding factors regarding choosing the right mens work boots for you. Numerous famous brands provide different features to their mens work boots such as waterproof facility, slip resistant or proper grip facility, etc. People also want their work boots to be stylish, smart and elegant. The design, color etc. are also the important deciding factors for mens work boots. Different types of works need different kind of shoes or boots. You have to know first that what type of advantages you can get or want from your mens work boots. For example, if you are working with ladders or shovel, 90-degree angle heel boot is the best option for you as it helps to increase your work effectiveness and provide comfort. Steel Toe Boots – This type of boots are ideal for workers of manufacturing unit or construction area. The steel toe boots provide durability and protects your tie area from any injury. Whenever you are buying this kind of boots, ensure that mens work boots are quality product. Do check the fit before you buy. The fitting is most important thing in terms of wearing shoes. There are many varieties in the styles of protective caps and you have to select the one that is suitable for you and your workplace. Try not to reduce your budget when buying mens work boots is concerned because you need ultimate protection and comfort during your job and you need to be safe doing that for yourself and your family. ÿ Composite Toe Boots – This type of boots also, provide protection and put you at ease but without the heaviness of steel. 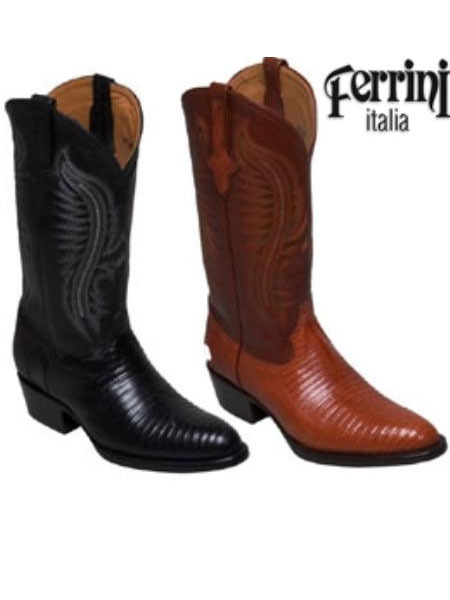 People, who do not prefer the extra weight of steel, can opt for these boots. Composite toe boots have some excellent features to allure you. It is one of the most popular mens work boots among people. This boots can freely exceed through metal detectors. The manufacturer made the protective caps with different materials like plastic, fiberglass, carbon fiber, Kevlar etc. Different brands give different added features with mens work boots. You can have waterproof, heat resistant, oil resistant, padding, fixed dissipative and various other facilities. First, decide that which features you want to have in your mens work boots. Then, check the fit. After that, purchase the chosen one. You need to have some knowledge about mens work boots to guide you in the procedure of choosing and buying the appropriate one for you. You can find a special kind of boot in the market called low-lug wedge. This boot helps your boot to remain clean and clear or helps to minimize dirt accumulation in the soil while doing work in dust, dirt, mud etc. It also allows you to keep your house or client’s floor neat. Therefore, this kind of mens work boots are apt for people who works in farms, landscapes, or dig out business and any other kinds of outdoor works. Though the steel toe boots are heavier on side to wear, you have to opt for it if you are dealing with heavy machineries, equipments or tools in industrial belts or construction materials sites as there is a chance of these material falling on your feet and sudden injury can happen. In that case, you have to be extra careful about your feet and go for steel toe mens work boots for your safety and security. The great quality or branded mens work boots are not only providing you with the basic features such as resilience, comfort, toe safeguard, ankle support but some extra added advantages too. You can get benefits like odor control, extra padding, moisture wicking etc. The odor control feature will help you stay odor free in hot summer days or for the people with excess perspiration around feet. Extra padding gives you more ease throughout the day and perfect for people who move a lot during work. Moisture control feature will protect your mens work boots from unwanted moisture in environment or from your feet. Hence, you have to keep all the guidelines in mind when you are opting for mens work boots to find the right suitable one for you. We offer you the right kind of stylish boots for your purpose to keep your feet protected from the harsh environment hazards and also let you remain stylish which at your office site.